If you've been getting annoyed by OnePlus' hype campaign for its next smartphone so far, here's some good news. You only have another month of teasers to look forward to. That's because the OnePlus 2 will finally be officially announced on July 27 at 7 PM PT. Yes, today's teaser from OnePlus concerns the date on which its next handset will be fully outed. But wait, there's more. OnePlus is going to do "the world's first product launch in VR" on this occasion. For this purpose, the company has designed its own VR cardboard headset, starting from existing designs but tailoring the experience for the upcoming OnePlus 2. The OnePlus Cardboard headset, pictured below, will also happily accommodate other devices up to 6 inches in size. It's said to be fast and easy to assemble, it's made from durable materials, it's more compact than other such headsets, and it's coated with a special film that repels dirt and oils. The result should be a pretty high-tech product for something (literally) made out of cardboard. 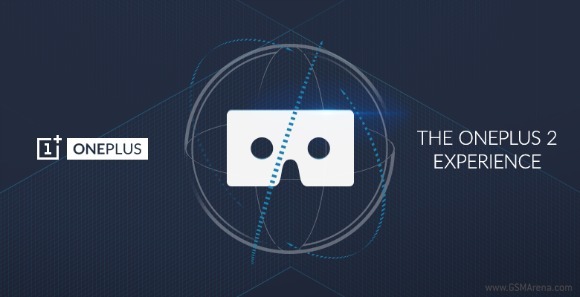 As for the OnePlus 2 launch itself, the virtual reality experience will let you "stand" next to the OnePlus team and other fans as the new flagship is unveiled. You'll be able to look around and check the phone out in an entirely new way, and perhaps even find some hidden Easter eggs while you're at it. More details are definitely coming soon. So will this work with my gear VR? Are there any times/websites to point at? You are absolutely right bro.. BTW if any one is having above average internet connection then there shouldn't be such problem with the flash sale system.. It is much much better and less annoying than invite system which makes no sense. You just proved why some people should never joke.